This is the Movie Player you bought your Apple TV for! Streaming and downloading movies, files and images from external sources. Alternatively you can download and save your movies on your Apple TV and watch without streaming. No other app can do that! 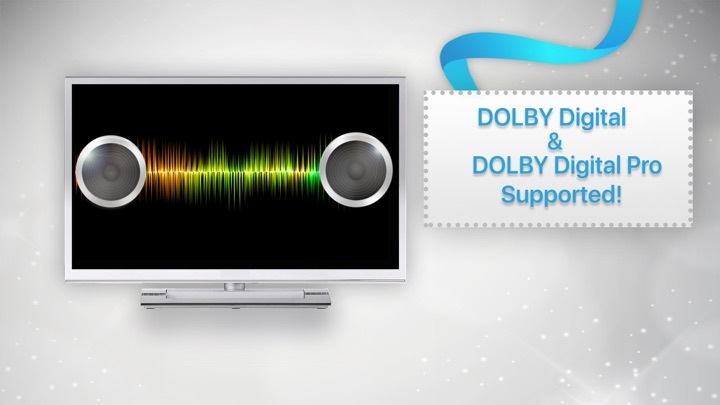 This player can handle almost any format you can think of and comes with licensed Dolby® (AC3) and DTS®. And more than that, it is the only Movie Player that lets you download and save content to your Apple TV! Movie Player is the only app to download and save movies on Apple TV. And it doesn't need any external installations of programs and apps on your PC or Mac. This is the Movie-Player you always wanted! It does not just simple streaming like any other Movie Player, it allows to download and save movies to your Apple TV while supporting a vast range of sound and video formats including Dolby Digital. Being able to download movies means that they can even be played without network connection! 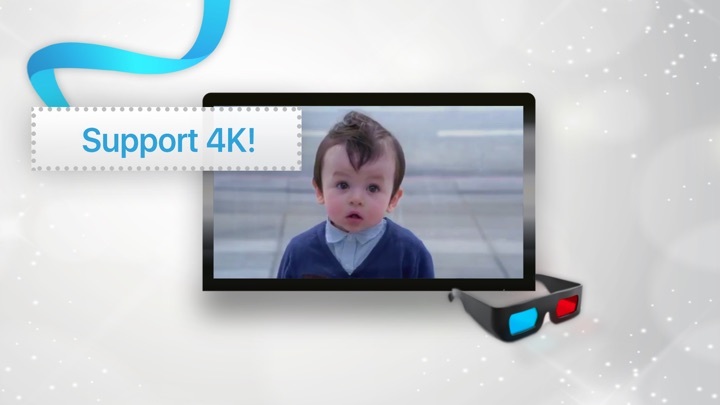 It not only supports 4k, but almost any movie format you can think of including Dolby Digital and Dolby Digital Plus. If it doesn't play or support a specific format, let us know, we may already be working on a solution! 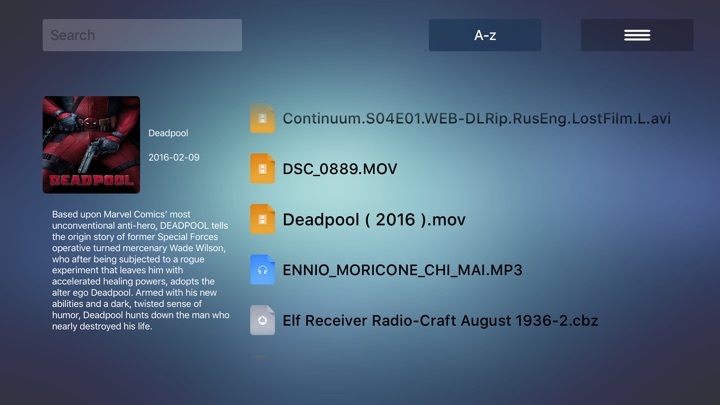 This Movie Player comes with an easy to use file manager, allowing you to add favorites and search specific titles. Load your stuff on the Apple TV, organize it with the file manager and stop worrying if it will play, because it will. ▶ LET US KNOW if it doesn't play the movie you want to play, so that we can take a look at that specific format and come up with a solution! DRM-protected movies & TV shows purchased from the iTunes store are not supported. *1 Almost all formats, please report any format that is refused to play.